The Diploma course is available for those who have trained to Certificate level. 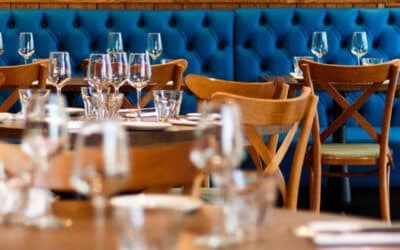 You can however take both courses in combination, with the Certificate course leading straight into the Diploma course. You can however get your Certificate first and then take the Diploma at a later date if you prefer. 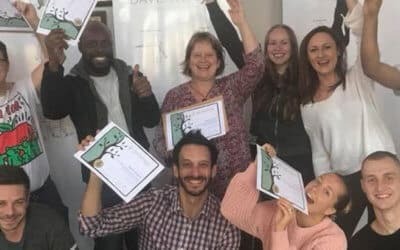 the new skills they learnt on the Certificate training. 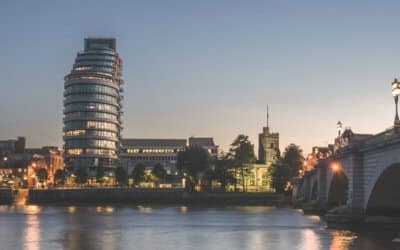 But we are flexible and want to work around your commitments as well as your budget so we leave it to you to arrange the schedule that works best for you. people wanting to become professional massage therapists. It has everything that you need to enable you to run your own business. What’s included in the Diploma course? 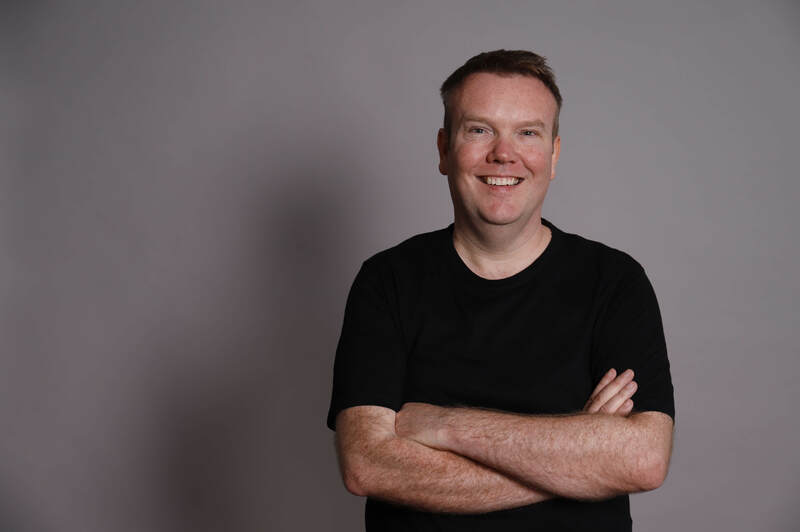 Business Workshop – Learn the methods Dave used to establish a thriving business as a massage therapist. 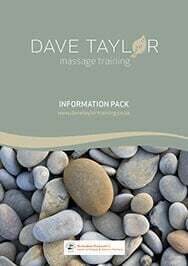 Dave will initially assess each student individually and determine what areas of his or her massage need further work and will schedule this into the week. As well as helping you improve on the techniques already taught there are lots of new Raynor methods to learn. You will also attain the skills to integrate both aromatherapy and reflexology techniques into your practice. 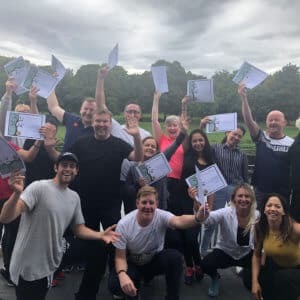 The goal of the massage is the same for both the Diploma and the Certificate courses, which is to find where the tension is in the body and to effectively relieve and eliminate it. During the Diploma course, we go into how to release this tension on a deeper level. You will understand how to access tension that may have been held for many years, perhaps since childhood. The Diploma course trains students to work to a greater depth, to locate and release bands of tension running throughout the. Dave Taylor teaches the course in a small class of no more than 20 students. Consistent with the teaching methods used in the Certificate course, the Diploma week is also taught using a very hands-on approach. You will be giving as well as receiving massages while receiving ongoing input from the tutor. This is the only way you can truly learn the technique. 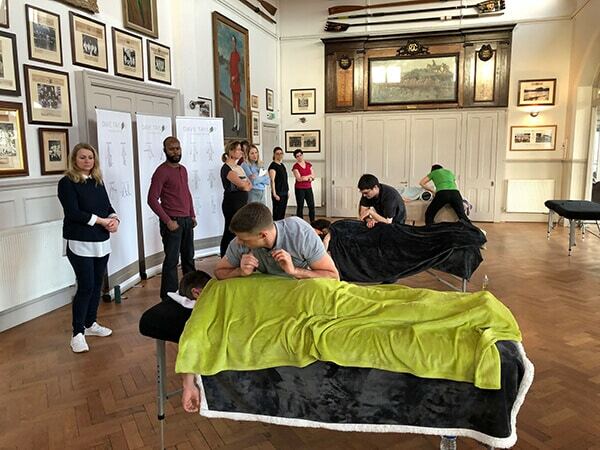 You will be working with different students throughout the week giving you experience of massaging different body types and getting a feel for the various ways people hold their muscle tension. This approach allows you to gain experience in adjusting the depth of the massage to fit each individual client. On the last day of course study we open a “student clinic”, inviting the public to come in and receive a massage free of charge. This clinic is a key component of the assessment process for your Diploma. 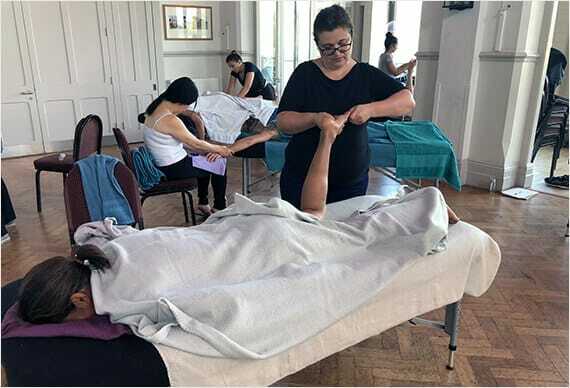 You will have the opportunity to demonstrate everything you learned during your study, which includes taking a complete case history, selecting the oils, providing a full body massage and dispensing aftercare advice to your client. There are no written exams or reports to submit during the training. 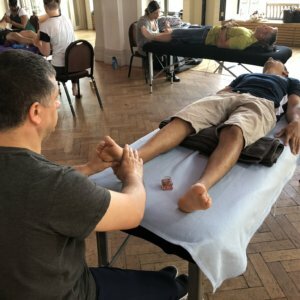 Instead your teacher will assess you on a regular basis so that you have the feedback you need to progress and develop your massage techniques. By the end of the training you will have massaged your instructor as well as members of the public. 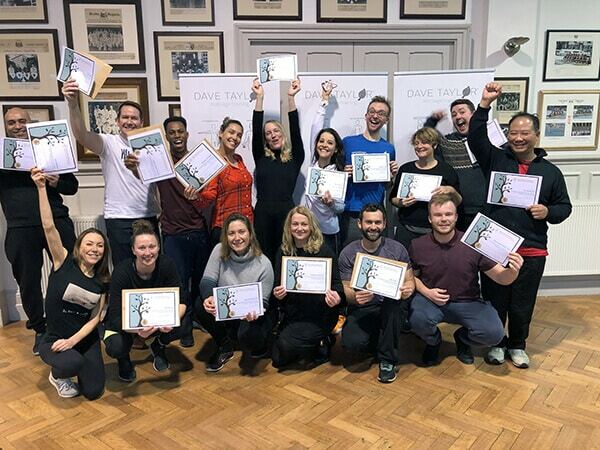 It is our belief that this is a far better method of testing your abilities as a massage therapist than giving you a written test on how well you remember Latin names and terms for all the different parts and systems of the body! 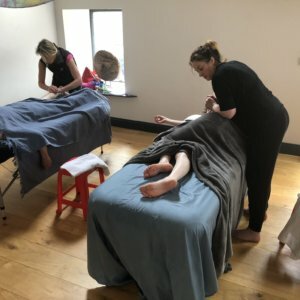 We do not grade you separately on health and safety, draping and hygiene since these skills are basic to your demonstrating good massage practices. These aspects are observed and discussed with you in the overall daily assessments and in the feedback that is given throughout the 10-day course. On the first day of the Massage Diploma Course we will first of all have a student introduction. We will discuss areas of the massage technique from each student that they would like aaddressed so that this can be incorporated into the rest of the week. Then the teacher, Dave Taylor, will give a full demonstration and show you how to work the side of the body, including the hips. In the afternoon the students will be paired off to swap treatments. There will also be an exploration of massage during pregnancy. 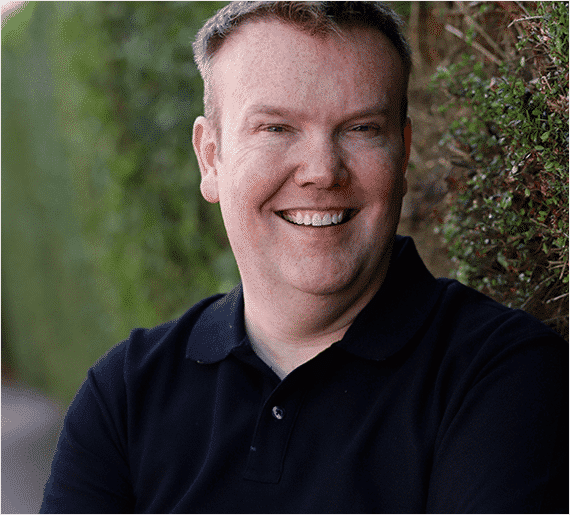 Many schools of massage consider pregnancy a contraindication for massage, but at the Brandon Raynor School of Natural Therapies we disagree. We believe that massage during pregnancy is beneficial and in fact it has been a normal part of anti-natal care for millennia. You will learn how to give a therapeutic massage to a pregnant woman. You will also be taught various stretches that you use on your clients whilst they are on the table. 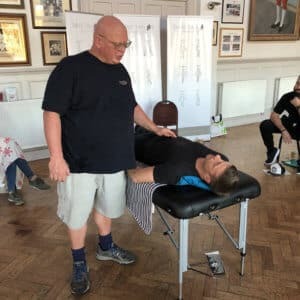 These are really effective for those looking to work as Sports Massage Therapists as they can help to improve performance of athletes as well as dealing with sports-related injuries. On the third day of class you will begin learning about reflexology. You will be taught about the various reflexology areas on the feet as well as the hands. You will gain an understanding of the significance of feet and hands in massage therapy and how treating the feet and hands can benefit the entire massage treatment. You will learn about the Zone Theory of Reflexology and how to use reflexology charts in your practice. 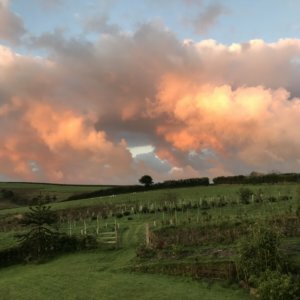 You will then provide a reflexology treatment and have one given to you so that you fully grasp how powerful and relaxing a reflexology massage can be. In the afternoon will begin teaching about the various aromatherapy oils and how they impact a massage. The properties of the different oils will be discussed and some of the more common oils will be used. The instructor will teach you how to determine which oils would be suitable for certain types of clients as well as specific contraindications for each oil. On the fourth day of class the focus will be on getting direct feedback from your teacher. Each student will get a chance to massage Dave and get instant, direct feedback. 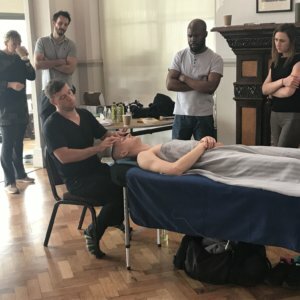 The last day of the Raynor Massage Diploma course will provide all students with an opportunity to make any final revisions on their techniques. There will be a final and very detailed assessment by the instructor who will be grading students on these qualities: Communication, Correct pressure, Empathy, Massage techniques, Overall effect and benefit Professionalism. The client’s role in the three categories of communication Importance of the client breathing with their practitioner The benefits of massage therapy. All aspects of massage and appreciate how it affects health and healing. This Diploma Course is further training that is available for those who have already trained to Certificate level.